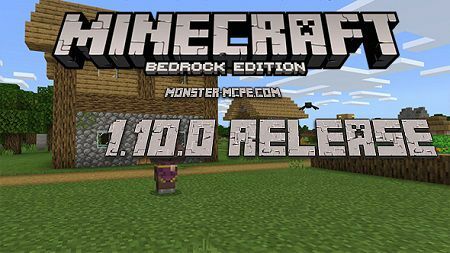 What was added to Minecraft 1.10? 2. Innovations: loom, lights, crossbows, new textures. 3. With the help of the add-on now you can create new creatures. 6. More than a hundred bug fixes. Updated residents received their own unique skins, with which you can understand their profession and biome! From now on, the inhabitants of the village will not just walk around the settlement, but work on their workplaces. It is also worth noting that during rain and night they will hide in their homes! In order to get a unique banner, the player can use one of the already-made templates and dyes! The source of light, that you can place below or above the blocks. — Were updated textures for most items and blocks! — You can see much more updated adds in the new version. 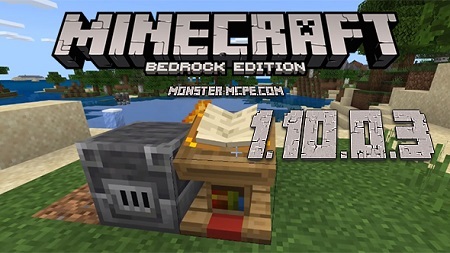 - Previously existing blocks were renamed into usual logs, as well as hewn logs. - Previously referred to as bark blocks. — Jellie cat was chosen by the whole community of the pocket edition at the universal voting. — You can meet her in the village. — A more simplified method for creating flags. — This machine uses only one type of dye for drawing a pattern. 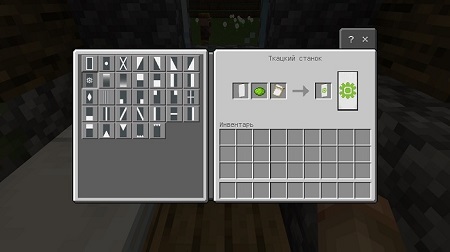 You can also use unique flag patterns to craft the corresponding flags. — You can create unique patterns for flags using paper and various objects. — Tap on the button “Help” opens a page with instructions. — New mobs that attack and fire on the inhabitants of the village and the players. 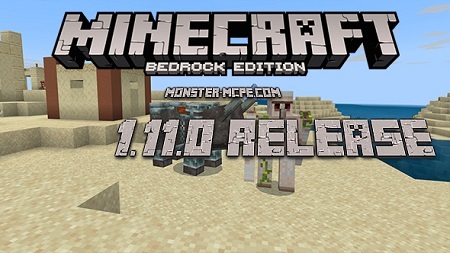 — In update 1.10.0, pillagers are only available in creative mode. — Fully they appeared since version. 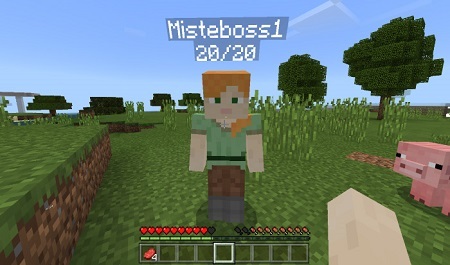 — The new powerful mob, Illager Beast. — Bonfire New source of light for settlements. You can place it in the house — does not cause ignition of other things. — Tower of pillagers. Pillagers will spawn near the tower. — New blocks: stone cutter, composter, smelting furnace, smokehouse, blacksmith’s table, barrel, grinding stone, archer’s table, cartographer’s table and new jobs for villagers. — Bushes with berries and sweet berries that you can find in the taiga. 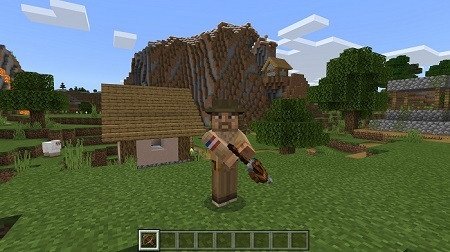 — Updated villages: new types of villagers, new behavior of the villagers, modified buildings. — Now dead bushes can be burned in the furnace. — From now, with falling leaves sometimes sticks falling too. — The wet sponge placed in Nezer will instantly dry out. — Now it is possible to knock down the flowers of Horus with arrows. — From now on dispensers with scissors can shear sheep. — Opportunities for the operator have been expanded. — A variety of necessary fixes for the add-on makers. — Cats you can cure with the help of fish. 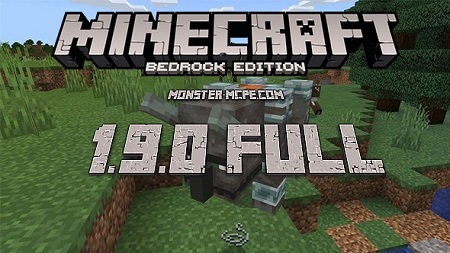 — Fixed a number of bugs, which led to the crashes of the pocket edition. 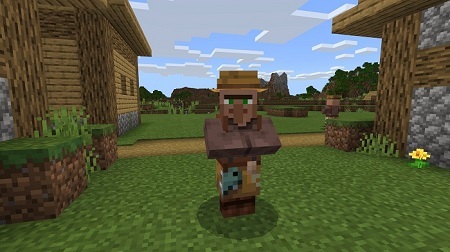 — Fixed animation for parrot and cow.